Mr & Mrs Egg love Easter so much, this is their moment! They want to celebrate with everyone, yes, that means you! A heart-warming, energetic and fun eggy disco with Cheffy trying to keep things in hand. 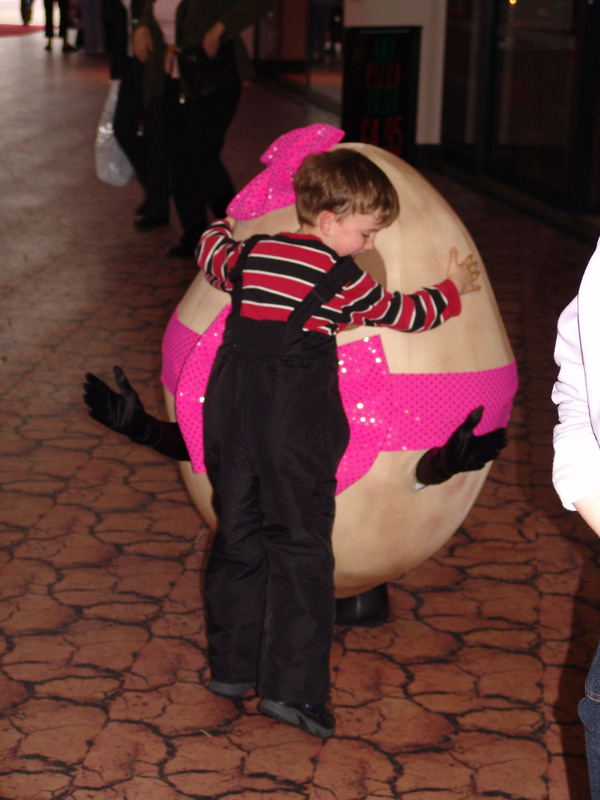 A brilliantly visual, high impact walkabout, you can’t miss them/resist them and will just have to have a little wiggle or an eggy hug. People can’t help but smile. 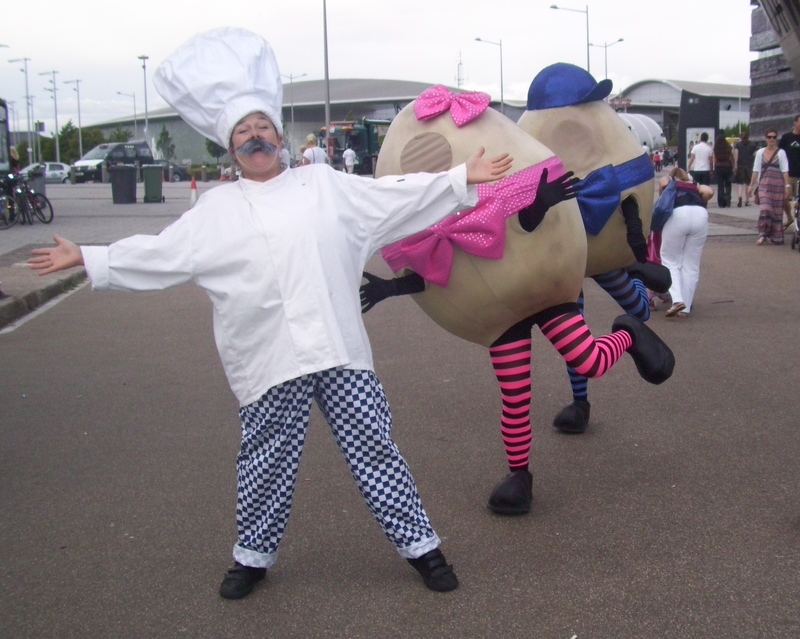 Available as one or two eggs and a chef – or ringmaster/mistress. Other things to be negotiated. 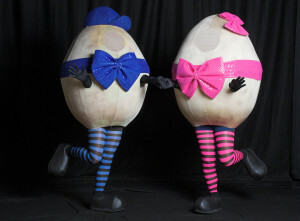 The eggs have performed all over the UK from Scotland to Belfast and Dublin, city farms, easter events and food fairs.